According to the INRIX 2018 Global Traffic Scorecard, Cape Town drivers spend more time in traffic congestion than those of any other major city in the country. The report has revealed that on average, Capetonians lose 162 hours in traffic every month. Cape Town’s predicament, says Rowan Alexander, director of Alexander Swart Property, is even worse than that of Pretoria where drivers lose 143 hours each month and Johannesburg where the figure is 119 hours. 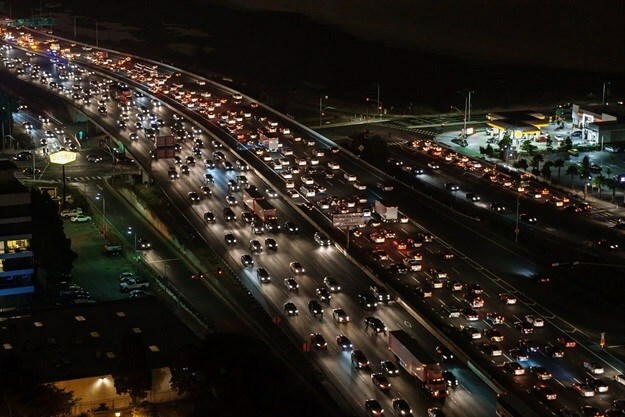 The survey ranks Cape Town as the 28th worst city in the world for traffic congestion, but it is still far better off than cities like Bogota in Columbia and Rome where commuters lose 272 and 254 hours every month respectively. Alexander says that this unfortunate situation in Cape Town has been caused by a slowdown in the last twenty years in new highway and road construction - and it is affecting the property market very noticeably. According to Alexander, parents of many Cape Town families now spend an inordinate amount of time in slow moving traffic. To make up for this lost time, they have been seeking other ways of improving their quality of life, in particular by reducing time spent on journeys to the schools of their choice, day care centres, local shops and recreational venues and facilities such as hiking and mountain bike trails and gyms. Proximity to all of these is highly prized. Alexander has also identified a growing trend amongst buyers, being willing to accept more compact and space-efficient homes - especially in sectional title projects - provided that these reduce their commuting time. Alexander is of the opinion that in the long term, the difficulties of getting to workplaces, particularly in the CBD, will cause major corporates and other businesses to decentralise both their offices and industrial premises. This has taken place at Brackengate in Brackenfell (now home to Shoprite, Food Lovers’ Market, British American Tobacco, Plumblink and others), Richmond Park, Century City and the Tyger Waterfront. “This trend is clearly discernible”, says Alexander. “Wherever there is land suitable for development on the fringe of built-up areas, new projects are being or will be launched.